Two of the most seen creatures in SoCal: ‪Skaters‬ ‪‎and Chihuahuas. Another piece I created for my daughter’s room. The idea was born in my sketchbook a while ago. 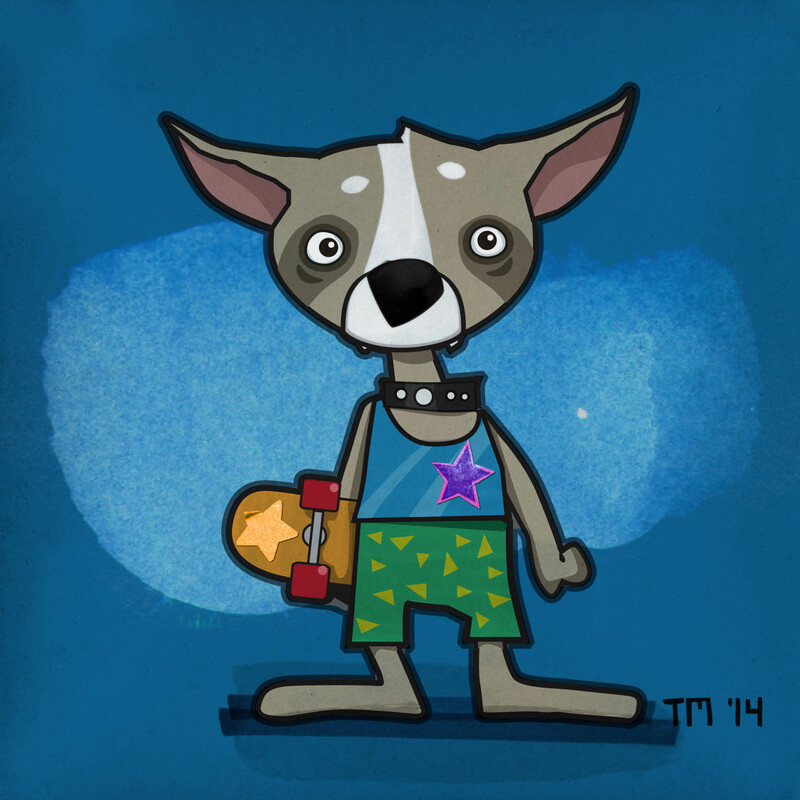 I think the Chihuahua fits the image of the mostly skinny and agile skaters – At least the ones I see around here in San Diego. Edited in Illustrator, colored with Copic markers, Sharpies and watercolor.